Streaming music online is a competitive business. Spotify is probably the most recognisable provider, but the likes of Deezer and Grooveshark are also posting strong user numbers. In order to keep attracting new users, one of the key challenges for streaming services is differentiating themselves from the competition. 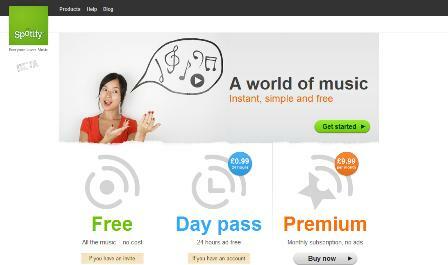 Last.fm seeks to do this by tracking user listening behaviour and recommending artists based on their musical tastes. 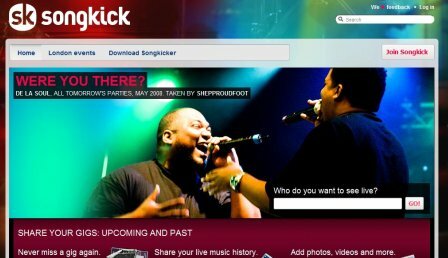 Since launching in 2002 the London-based company has collected 65bn pieces of track data from its users, which is obviously a powerful tool for advertisers. 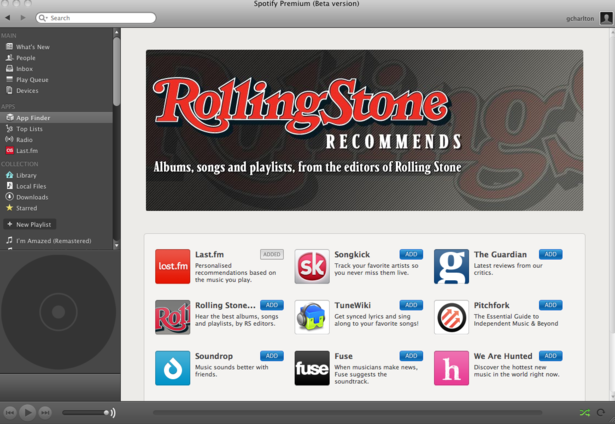 Yesterday, Spotify announced a new apps platform, featuring apps from Last.fm, The Guardian, Rolling Stone, and more. Whether this apps platform provides ways for developers to monetise their apps is up for debate, but I want to look at the apps released so far, and whether they enhance the experience for Spotify users. The convergence of the television and the web has been promised for more than a decade now. Anyone remember Microsoft’s acquisition of WebTV in 1997? There were good reasons at the time to see the potential of a marriage between the internet and the TV, and there still are. Like a lot of predictions, however, this one was a bit premature. But is now the time? Backed by Peter Gabriel, The Filter is a recommendation engine that provides users with suggestions for music, movies and videos.